Responsible for Deloitte’s Sustainability division in Italy. He has gained many years of experience in the coordination and implementation of projects on Corporate Social Responsibility and sustainability systems in Italian and international groups. He is engaged in the provision of professional assurance and compliance services relating to sustainability reporting and the integrated financial statements. He has published several articles in specialized journals and has been speaker at seminars, television programs and workshops both nationally and internationally on issues related to sustainability applied to the organization and business processes. 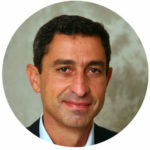 He is member of the Global Sustainability Leaders Commmittee of Deloitte and of the GBS Board.